INNsight has been selling hotel rooms online since 2010. Specializing in technology to help travelers connected with INNkeepers, INNsight aims to make booking your accommodations reservation with ease, and with the confidence of knowing you booked at the lowest rates. Search from our hotel accomodations today and book your next hotel stay with INNsight! Look. Before You Book. Research over places to stay from bed & breakfasts to yurts, and from budget motels to luxurious hotels in cities, towns, and hamlets from around The World. INNsight prides itself on making it incredibly easy to find a place to stay while providing the property details, photos, and information you need to book confidently. INNsight. Look. Then Book. INNsight.com guarantees you the lowest rates online. We promise to match any lower price you might find elsewhere. If you find a rate that is lower, simply contact us and we will adjust your booking accordingly. Receive your booking confirmation immediately via email. We assure your reservation will be transmitted directly to the innkeeper immediately after clicking the ‘Book It Now’ button. INNsight.com safeguards your personal details including your credit card information using SSL, two-factor authentication, and Payment Card Industry (PCI) compliant processes. Rest assured that your data will be protected when you book with INNsight. INNsight does not charge any booking fees to travelers for booking at any of our thousands of accommodations. Modifications can be easily made to any reservations at accommodations that provide such flexibility at no charge. INNsight.com does not charge any cancelation fees. Our accommodations partners make all room charges directly to your provided credit card. INNsight offers 24/7 telephone, email, and chat support to assist you with booking your accommodation or any modification, cancelation, or special requests that you may have. We pride ourselves on excellent customer service, so go ahead, book with confidence—we'll be online to help you at any time! With INNsight's reservation management tools, you will easily be able to manage all of your bookings with ease. Set up itineraries and see all of your future reservations within My INNsight Passport. Set up email reminders, add booking details to your calendar application, and modify or cancel bookings with ease. 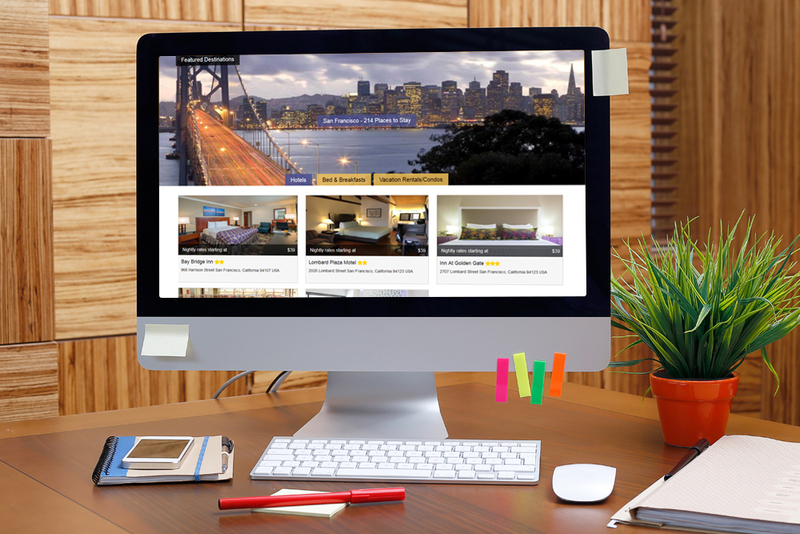 Register today to manage all of your accommodation bookings from one place. Our mission at INNsight is to connect INNkeepers with Travelers. We believe every hospitality business needs to be discovered. We have built the platform and tools to make it quick and easy for lodging providers to connect with new customers and grow their business with INNsight! List your property on our Marketplace or take a look at iSuite--our suite of software tools and services built for hospitality businesses to connect with customers and drive more bookings and sales, while improving operational efficiency.